Tune in to NASA TV on Nov. 15 at 11:35 a.m. EST to see students involved in the Student Spaceflight Experiments Program talk live with astronauts Suni Williams and Kevin Ford who are on the International Space Station. SSEP is an educational research opportunity that allows students to design and send experiments to the space station through a partnership with NanoRacks, LLC. 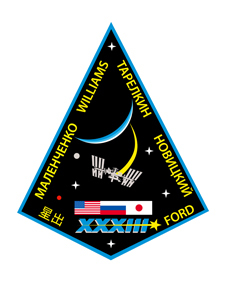 Williams has been involved in activating the latest round of SSEP experiments brought up on the Dragon spacecraft in early October. The downlink, hosted at the National Air and Space Museum in Washington, D.C., takes place during International Education Week. IEW is a joint initiative between the U.S. Department of State and the U.S. Department of Education that celebrates the benefits of international education and exchange worldwide. Deputy Secretary of Education Tony Miller, NASM Director General Jack Dailey, Smithsonian Institute Assistant Secretary for Education and Access Claudine Brown, and the NASA Associate Administrator for Education Leland Melvin will participate in the program. Watch the downlink; then build a multimedia project with the Do-It-Yourself Podcast module Space Station. Please Note: If you leave a comment, do not include a link to your blog or other websites. We typically will not be able to approve your comment if you add a URL.